I love this Spotify track very much, how can I set it as my phone ringtone? You may also have such problem after streaming a specifically lovely song. Spotify, one of the most wonderful music streaming services, provides access to countless popular songs. It is quite easy to get some tracks suit your taste and stream them. But if you want to download Spotify music and set it as your phone ringtone, DRM protection will be your big obstacle. It is generally known that all of Spotify track are copyright-protected, even the paid users can’t stream Spotify music as they want, like play on MP3 player or burn to a CD, and don’t have access to their offline music once canceled subscription. To remove DRM from Spotify track and use it as phone ringtone, you are supposed to find a brilliant Spotify Music Downloader. 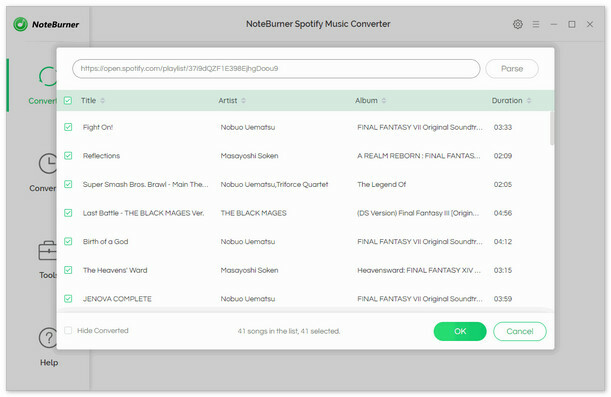 NoteBurner Spotify Music Converter is a professional Spotify music Downloader, which can help users legally remove DRM from Spotify songs and playlists, and download Spotify songs and playlists in plain MP3, AAC, FLAC or WAV format with keeping 100% original quality. Thus, you can freely stream Spotify music on MP3 player, burn Spotify music to CD, edit and use Spotify tracks as phone ringtone. The following tutorial will tell us how to set Spotify music as phone ringtone. Please download this useful tool on your computer first before getting started. 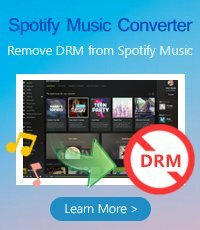 Launch Spotify Music Converter for Windows, and Spotify application would be opened automatically with it. 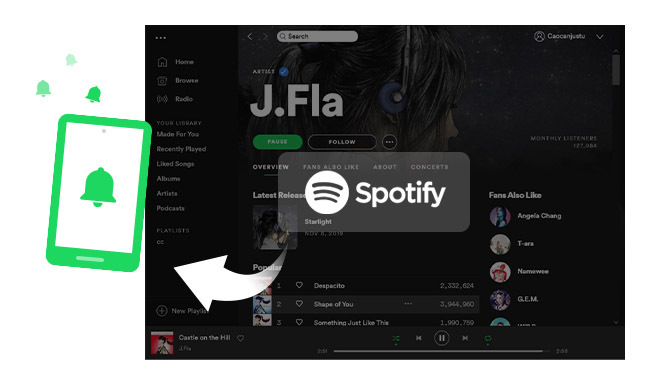 Click button, then a pop-up window will indicate you to copy and paste the playlist link from Spotify. Please copy and paste the link on the link window and click "Add". Then you can click "OK" to finish adding tracks. Click the Setting button on the top-right to choose output format. 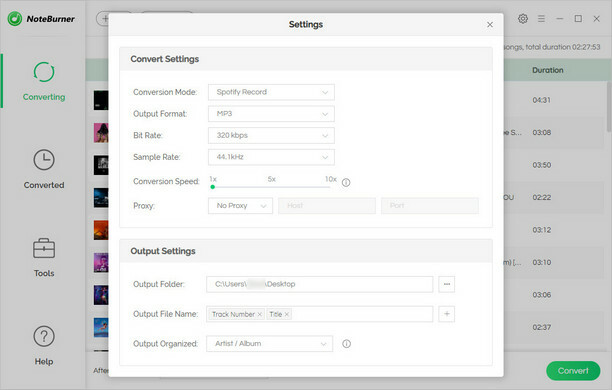 In Convert settings, you can choose output format (MP3, AAC, FLAC or WAV), conversion mode (Intelligent Mode, Spotify Record or YouTube Download), output quality (High 320kbps, Medium 256kbps, Low 128kbps). When finish customization, click "Convert" button to start conversion. 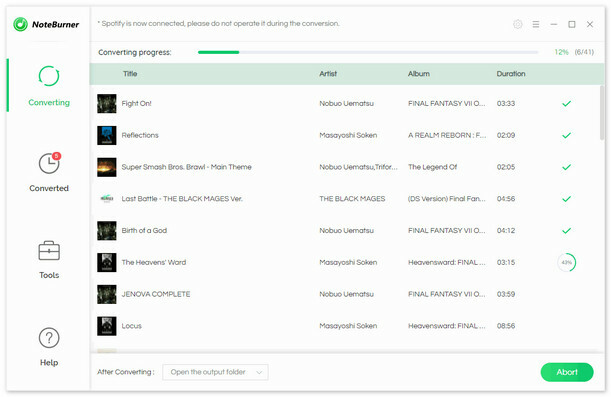 After conversion done, you can find the converted audios by clicking button, all of music in the list is DRM-free, you can enjoy them on any device as you want. 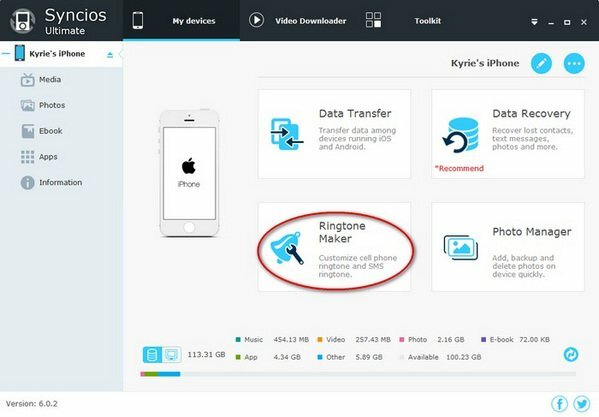 After conversion, now the only tool you need is Syncios Ringtone Maker, which will help you turn any piece of audio file into ringtone, you can make as many as ringtones you want, totally free and quickly. Please download the Syncios Ringtone Maker ( Mac & Windows) to PC first. 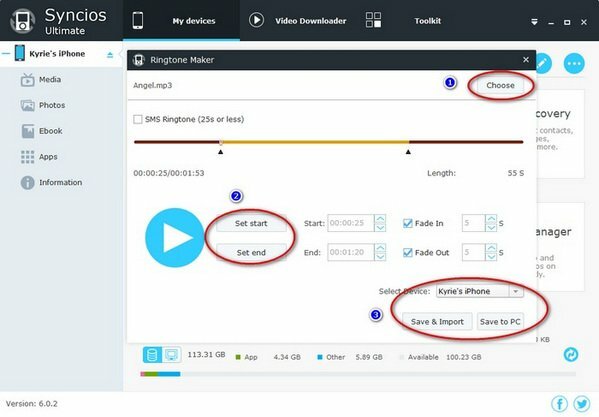 Then connect your phone to computer via USB cable, launch Syncios Ringtone Maker and select "Ringtone Maker". Directly drag the converted Spotify track from the output folder to the program interface. Edit the fragment you want for ringtone. After edition, please select "Save & Import". The final step is finding the ringtone file you just imported in your phone and set it as your ringtone. After completing the above steps, your Spotify ringtone will be successfully made; you can enjoy it freely.